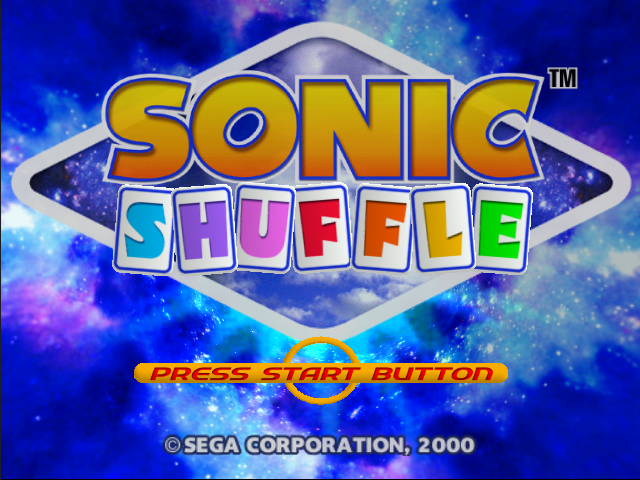 Sonic Shuffle is a game that was developed and published by Hudson Soft and Sega. 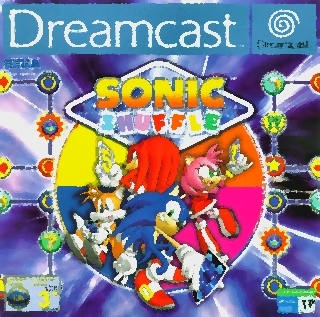 Sonic and his friends must collect the pieces that are based on Sonic Shuffle itself. 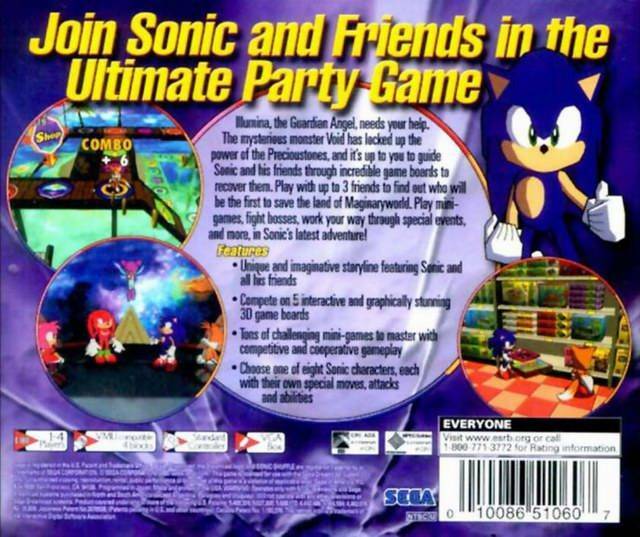 Much like Nintendo's Mario Party (I meant the series of Mario Party), this game has some crazy minigames. 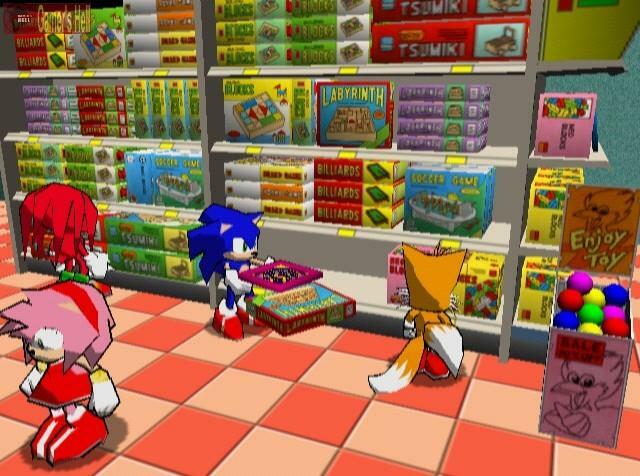 Sonic shuffle is a board game, much like the mario party games where you shop and buy stuff in the game mode. 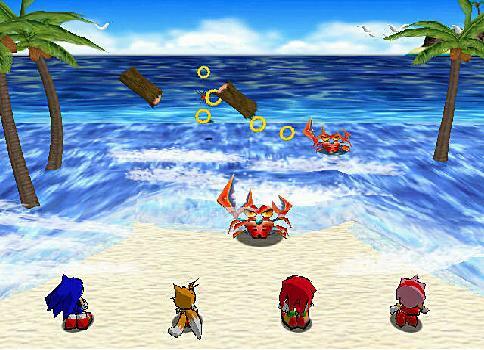 In Sonic shuffle there is a story mode you can play as either: Sonic, Tails, Knuckles, or Amy. 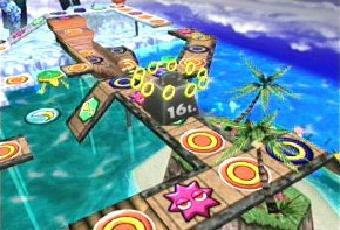 Each character has their own special ability on the board, and in battle. 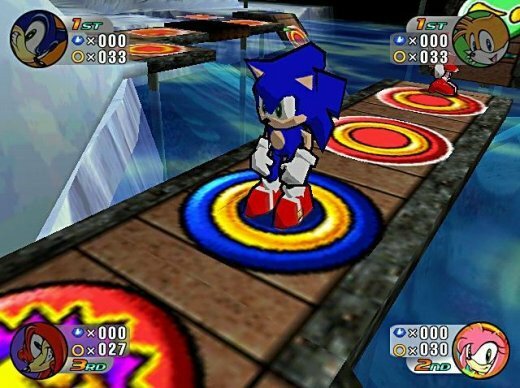 In the game there are five levels, characters instead of dice, players can choose cards from their hands, or anyone else's hand while they are free to move in any direction the feel free to. The cards consist of four of: One, two, three, four, five, and six. There are three "S" cards, that does various of things, and an Eggman card, that does multiple things(Usually bad) while using your turn. The main thing you need to collect to complete the board game is called: "Precious Stone" as there are about seven of them in each stage. 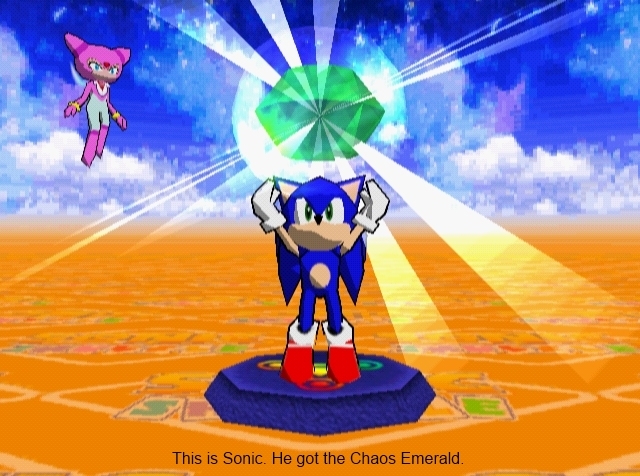 And the items you use is called "Force Jewels", you can get them in various ways such as buying them from shops, playing mini-games and collecting them from events in the board game. As you gain more precious stones the stage starts changing a little of each stage, usually blocking a path. 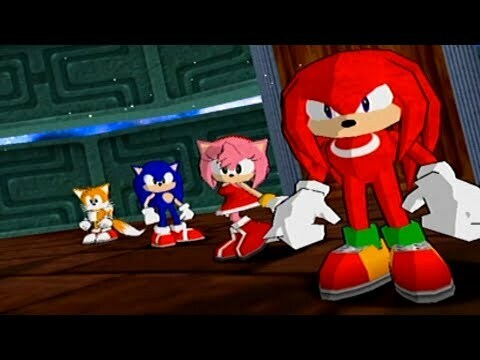 After you come in first place in story mode, how many rings you have can go to a bank, and that bank will let you buy pictures, buying certain ones will unlock different characters in Versus mode or the ability to play mini-games, and listen to the game's sound track from a stereo. Now you can add videos, screenshots, or other images (cover scans, disc scans, etc.) 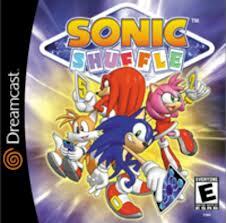 for Sonic Shuffle (USA) to Emuparadise. Do it now!